Mainstage at Bakehouse Theatre, Wed 28 Feb.
What must everyday life seem like to a returning veteran? Has the world gone crazy? Or does life in the front lines render one ill-equipped to deal with even the most trivial of civilian frustrations? Tim Marriott performs an enthralling account of the confusion and stress of coming home in Shell Shock. The play looks at the impact that homecoming has upon Tommy Atkins, an ex-army medic who has seen the horror of war first-hand. The light-hearted storytelling gives way to a more frenzied portrayal, moving between the comic and the tragic in an increasingly rapid and disturbing manner. Gradually, the story concerns itself with the sleepless nights, the flashbacks, and an escalating inability to cope. The humour, ultimately, surrenders completely to the sense of futility and frustration, and any chance of redemption looks slim. Music is used imaginatively to keep scenes moving. The set comprises four chairs. The empty seats are, in the main, occupied figuratively by Atkins’ family members. It’s a testament to Marriott’s performance that these apparently empty spaces seem full of character as soon as the audience are introduced. Marriott brings Neil Watkin’s 2011 novel to life with passion as he moves through the range of emotional trauma one might expect from someone struggling to re-integrate. The dialogue is genuine, fast-paced and deliberately manic. Marriott seldom misses a beat with an assured, credible and caring performance. 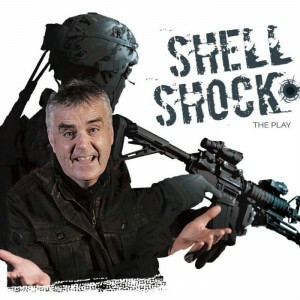 Shell Shock is, at times, a fabulously witty show yet, as the story develops, the audience cannot fail to sense the growing unease which is the real power behind the play. Shell Shock is Part 2 of Guy Masterson’s #LestWeForget season. 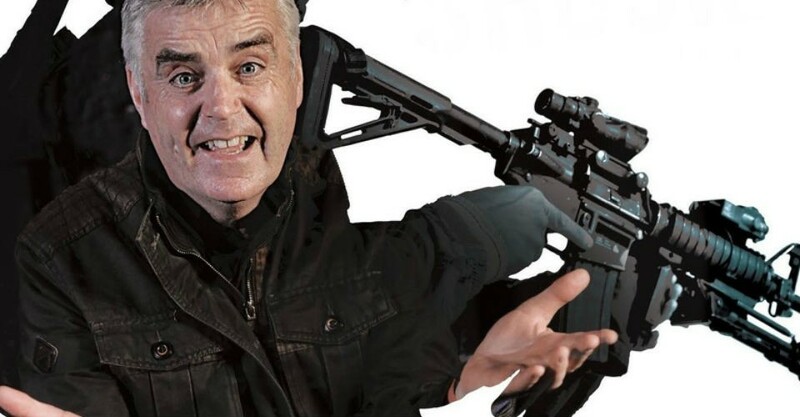 Shell Shock continues at Mainstage at Bakehouse Theatre from 7.30pm until Fri 16 Mar.